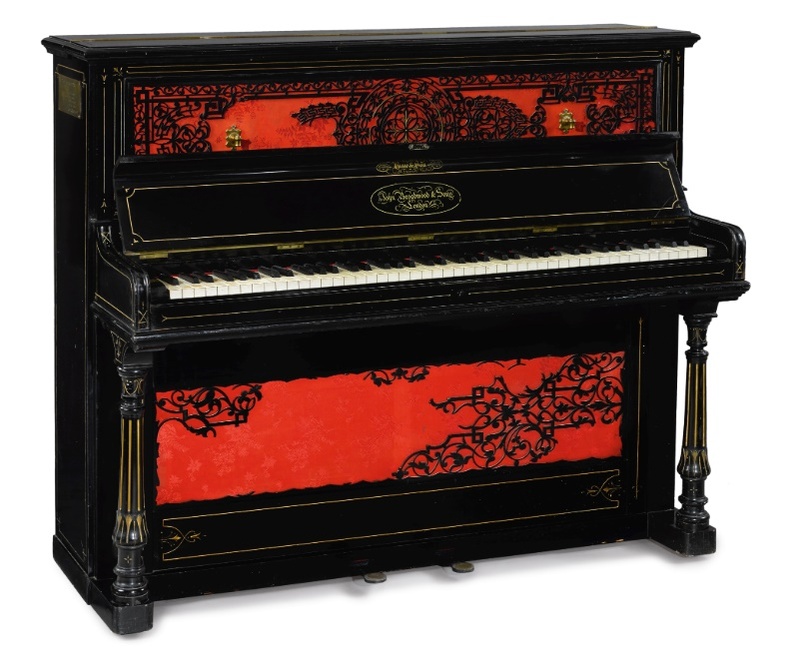 This is John Lennon’s elaborately painted upright piano from his Kenwood and Tittenhurst Park homes that he used when composing songs for the Beatles “Sgt. Pepper’s” album including “Lucy In The Sky With Diamonds”, “A Day In The Life” as well as many other songs. The piano dates circa 1872 and is numbered on the wooden frame 4112. The piano originally sold from a private collection at Sotheby's London, September 1, 1983, Lot 477. John lived at Kenwood from 1964 – 1968, some of his most productive years of his career. Although there was at least one other piano at the residence, this was John’s favorite, and it is believed he acquired it circa 1966. The piano is described in the 1967 Beatles Book. After selling Kenwood, Lennon moved the piano to his new residence that he purchased with Yoko Ono, Tittenhurst Park. 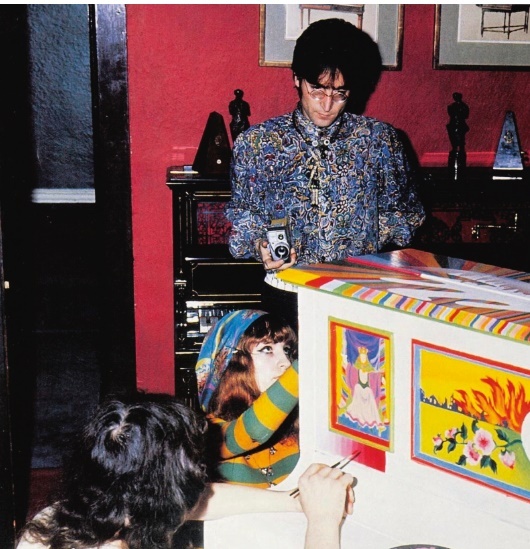 Before giving the piano to a friend, John had a plaque affixed to the piano that reads “"On this piano was written: A Day in the Life, Lucy in the Sky with Diamonds, Good Morning, Being for the Benefit of Mr. Kite and many others. John Lennon. 1971." The piano itself has great value as John Broadwood and Sons was founded in 1728 and some of history’s greatest composers, including Mozart, Haydn, Chopin, Beethoven and Liszt are all known to have used the firm's instruments. And of course, Lennon as well! Provenance: Sotheby's London (1 September 1983, Lot 477) — Private Collection. Comes with a Gotta Have Rock & Roll™ Certificate of Authenticity.